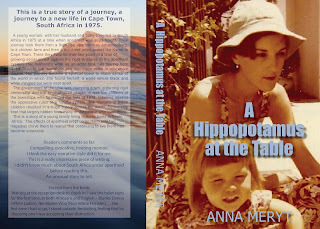 A true story of a journey, a journey to a new life in Cape Town, South Africa in 1975. A young woman, with her husband and baby travelled to South Africa in 1975 at a time when apartheid was at its height. Their journey took them from a high rise apartment in Johannesburg, to a chicken farm and then a thousand miles across the Karoo to Cape Town. There they lived for over two years at a time of growing social unrest against the rigid strictures of the apartheid system. Her husband’s work as an actor took him touring from Cape Town to the townships and into major roles in innovative theatre. Her journey became a spiritual quest to make sense of the world in which she found herself, a world where black and white mingled but were kept apart. The government of the time was clamping down, enforcing rigid censorship and the separation of people. It was the children of the townships who fermented the riots of 1976, rebelling against the oppressive rules of a hateful system. The murders of these children resulted in a huge outcry across the world. Censorship kept that largely hidden from many of the people who lived there. This is a story of a young family living in those times in South Africa. The effects of apartheid crept up on them until two tragedies drove them to realise that continuing to live there had become untenable. I think the easy narrative style did it for me. This is a really impressive piece of writing. I didn’t know much about South Africa under apartheid before reading this. An unusual story to tell. Here's link to Amazon so you can buy my book.